Some children are born to be stars! Everywhere they go, they stand out in the crowd. Children like this take every opportunity they can to showcase their talents and, by doing this, they make their parents very proud of them. 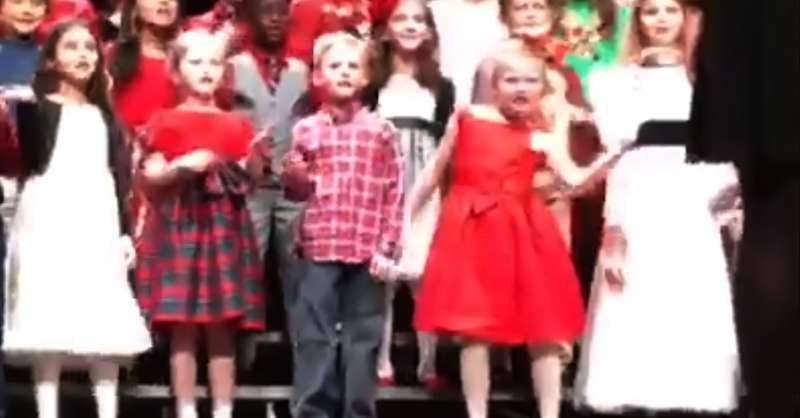 This was the case of Kelly Cardillo, whose little daughter made her very proud during a Christmas presentation at her school. 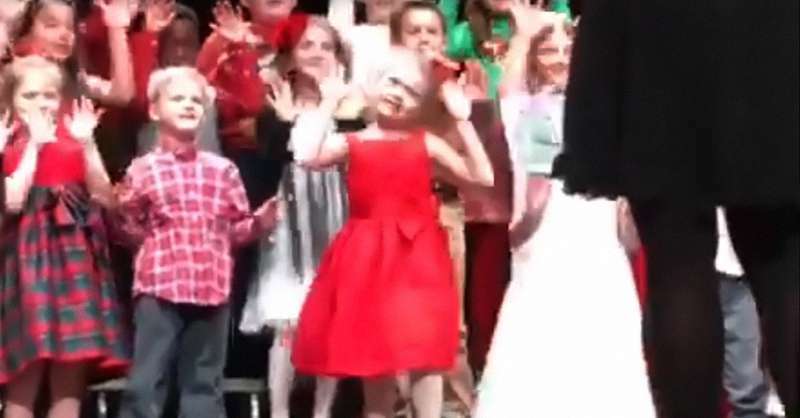 The little girl, whose name is Lucy, performed with her elementary schoolmates at Resurrection Catholic School, in Cherry Hill, singing and dancing at their annual Christmas concert. Her passion and zeal for stage performance were very evident. She wore a red dress and jumped to the front of the stage and started bursting her dance moves. She did outshine all her mates, though. Thankfully, her mother, Kelly, quickly got out of her shock to get all the action on camera. 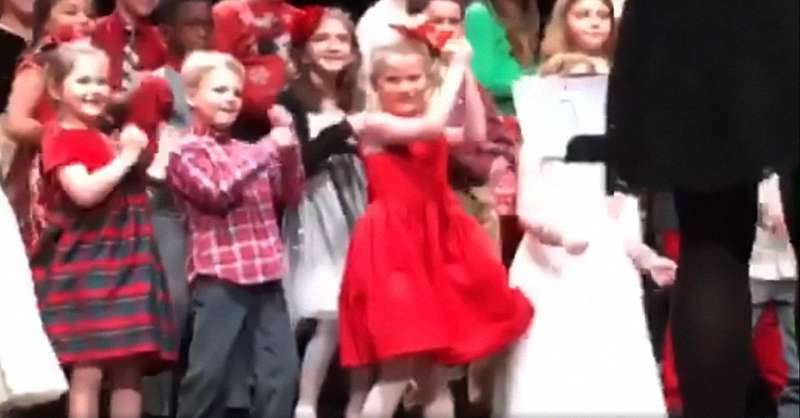 In the video, you can hear Kelly giggling at her daughter's dance moves. What makes the video all the more hilarious is the facial expressions that Kelly's little Lucy puts on. 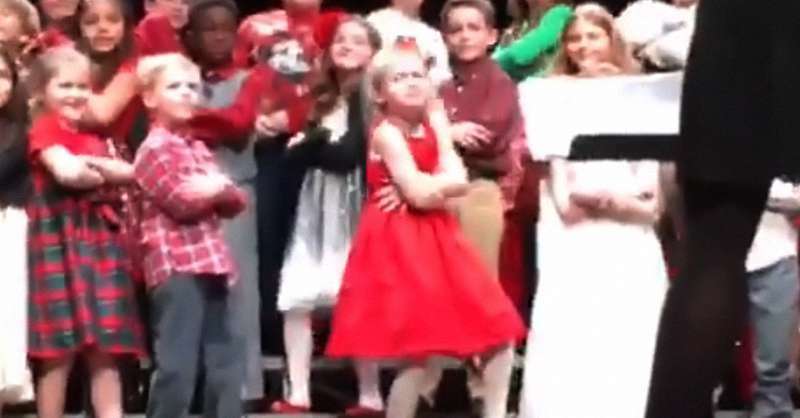 She's grooving hard, being the face of the Christmas presentation. 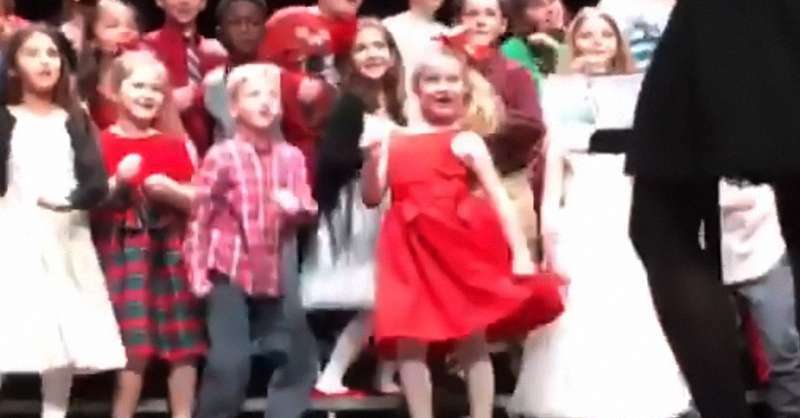 Her Christmas spirit is evident in the way she shows her excitement and moves her body to the groove. As soon as Kelly got home, the proud mother ran straight to her computer and posted the video. She could not wait to showcase her daughter's talent! Not long after this, the video got so much response that Kelly herself couldn’t believe her eyes. The video since then has gotten viewed more than 19 million times, it has been shared by over 252,000 users and received more than 221,000 likes! People all over the internet are drooling at Kelly's daughter and exclaiming how bold and talented she is. Watching the video is going to make you repeat it, as you won't be able to get over little Lucy's talent and energy. We love Lucy's spirit and wish her a happy Christmas!